The Sealink “Boat vs Board” showdown saw the Sealink fast catamaran ferry leaving Nelly Bay on Magnetic Island at 3pm sharp on Sunday. The Kiterace fleet let the ferry pass giving it a head start before their start horn went off to race the ferry and other boarders. 186 stoked spectators were on the top deck of the ferry cheering and enjoying the race. Due to light 10 knot winds, the Hydrofoils Boards were again untouchable crossing the bay ahead of the Sealink ferry, twintips, formula race and slalom boards. 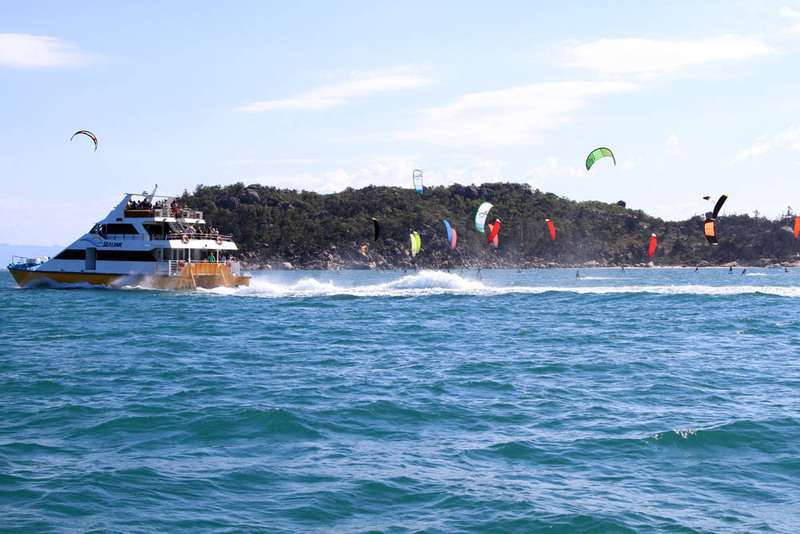 Of the start, the top 5 foilers including Maxime Norcher, Julien Kerneur, 16 year old Theo De Ramecourt, Nico Parlier and Johnny Heineken were leading the over 30 kiteboarders strong fleet from flying towards Townsville. It was a tight fight between Johnny Heineken (USA) and Nico Parlier (France). Johnny was leading the race until he made a navigational error after rounding the first mark going downwind because he could not see the second marker off Kissing Point looking into the glare. 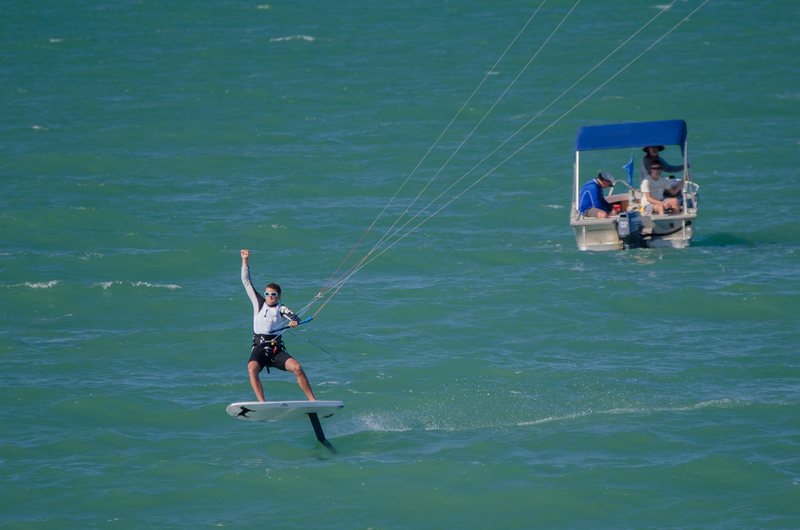 Nicolas Parlier saw Johnny going too far downwind and closed in on him rounded the 2nd mark first. From there Nico controlled and defended his position winning the 13.5km race ahead of Johnny Heineken and Maxime Norcher in 15m22secs with an average speed of 28.58 knots (52.93 km/h). In the twintip division Benny Kali from Papua New Guinea showed the strongest legs ending up first. Nico celebrating his win after a tough fight with a good old fist pump.